Back in the 1990s to early 2000s, my sister worked as a chef in the kitchen of the Toraya Cafe in New York City, the sole North American branch of a famous wagashi (traditional Japanese confections) maker that has been in business since the late 16th century. Her job was to create savory lunch items that would complement the lineup of traditional sweet confectioneries that Toraya is renowned for. She enjoyed her job and found it challenging, but there was one problem — the store, located on the Upper East Side right around the corner from the Frick Museum, had trouble attracting customers. 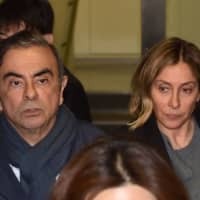 The Japanese expat community loved it (Yoko Ono was a regular customer), but the locals seemed to find the bean and rice-based confectioneries hard to get used to. Toraya New York eventually closed their doors in 2003. In the 15 years since, awareness of Japanese cuisine in general around the world has increased greatly, including an appreciation for wagashi. 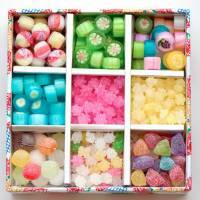 The word wagashi literally means Japanese snack, although it usually means sweet confections. 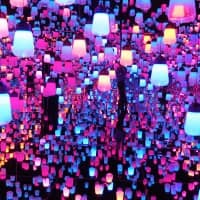 They range from homey items such as kushi dango, rice dumplings on skewers coated with a bean paste, to the highly refined, delicate confections called jo-namagashi that are formed in shapes that reflect the seasons. Most wagashi are based on a few simple ingredients, with white or brown sugar, beans (both red adzuki beans and white beans) and short-grain (mochi) rice and rice flour as the most common, while a paste made with finely pureed beans and sugar called an is often used as a filling or topping. 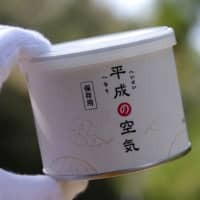 Some wagashi also use kanten (agar), kuzu (kudzu) flour, wheat flour or potato starch, as well as starch-based sweeteners such as mizuame (a clear sugar syrup). 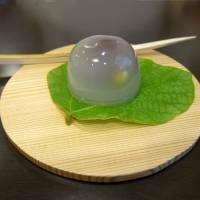 Many wagashi are quite sweet, since they are meant to be paired with the slight bitterness of green tea, and some have a touch of salt or soy sauce to enhance their sweetness. 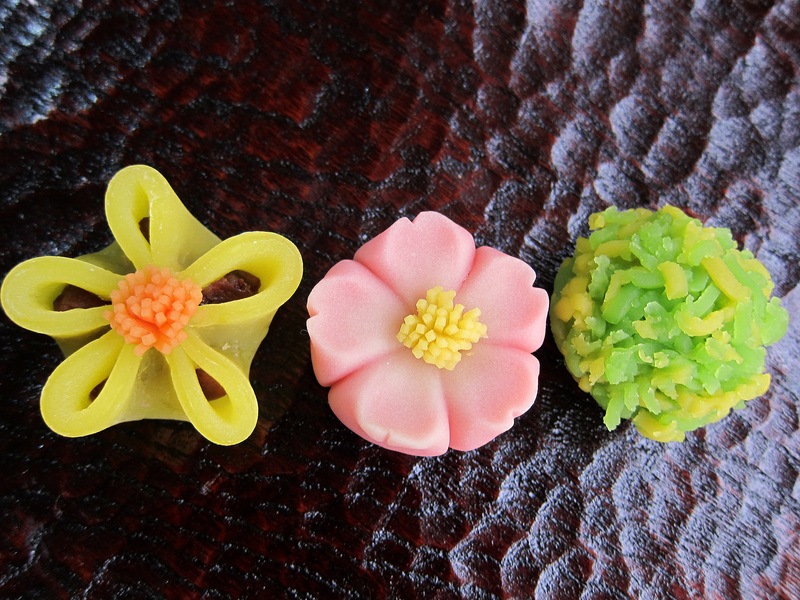 A big reason for the increasing popularity of wagashi is that they are very photogenic. To use one of the top trending phrases of 2017 in Japan, the colors and shapes of wagashi are “Insuta-bae,” having great appeal on Instagram or other social media. The textures and flavors are often quite unfamiliar to Western consumers used to European-style pastries, but as with most edible things it seems that the more they are tried, the more familiar and tasty they become. In an informal survey of more than a hundred Japanese food enthusiasts, some mentioned mamedaifuku, a dumpling of pounded rice dough filled with bean paste and studded with slightly salty beans, and taiyaki, an an-filled pastry baked into the shape of a fish, as favorites. 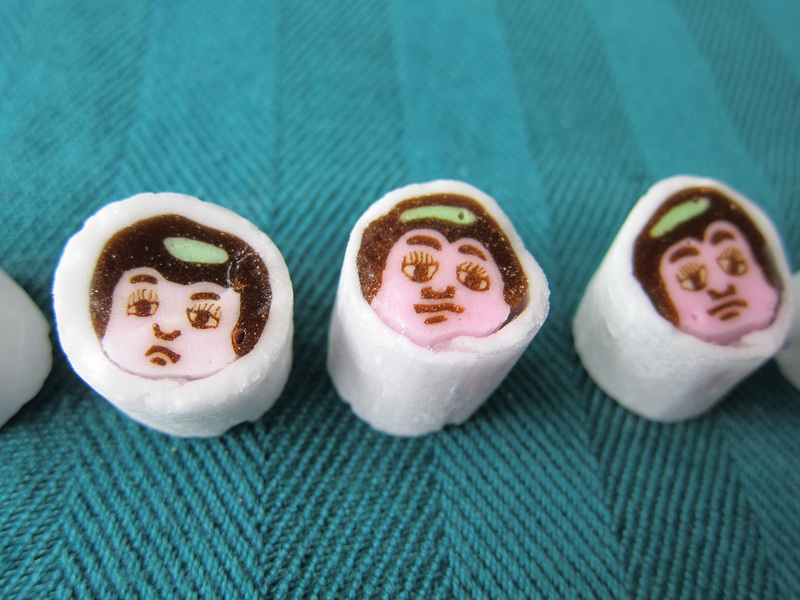 Manga and anime are widely acknowledged as being windows to Japanese culture for the world, and they have also helped make people more aware of wagashi. Japanese movies and television shows have also helped to spread the word. 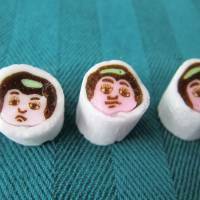 The Netflix series “Kantaro: The Sweet Tooth Salaryman,” starring kabuki actor Matsuya Onoe, which originally aired on TV Tokyo and is based on a manga, presents a variety of wagashi in comically exaggerated detail along with Western sweets that are favorites in Japan such as Mont Blanc and caramel pudding. Since it started airing late last year the series has quickly gained an international cult following. 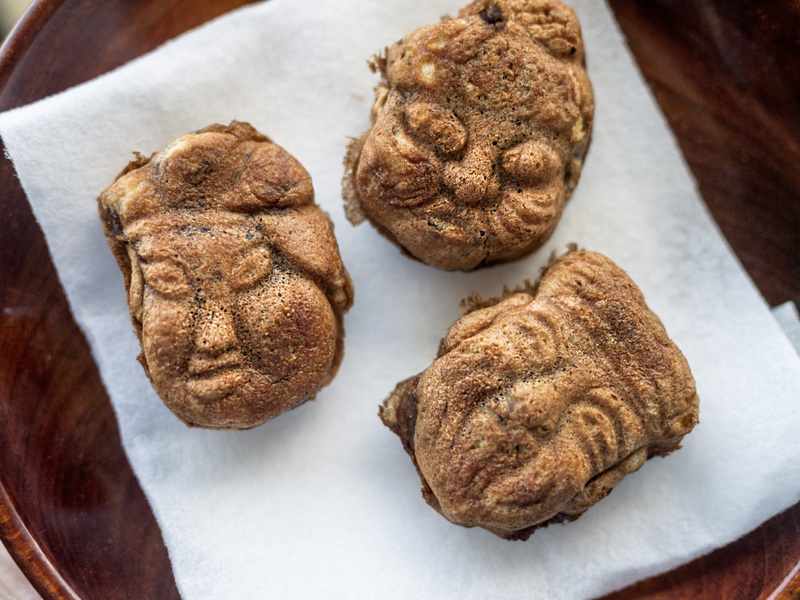 Another reason for wagashi’s appeal these days is that some see them as an alternative to European-style pastries for health and other reasons. Since many wagashi are based on beans and rice rather than wheat flour, butter, milk and eggs, they are gluten, dairy and often egg-free. 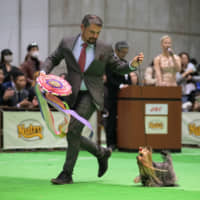 (Not all wagashi fit these criteria though; some like dorayaki, small pancake sandwiches filled with an, are made with a batter that contains wheat flour and typically eggs, too, as is kasutera cake, taiyaki and others. 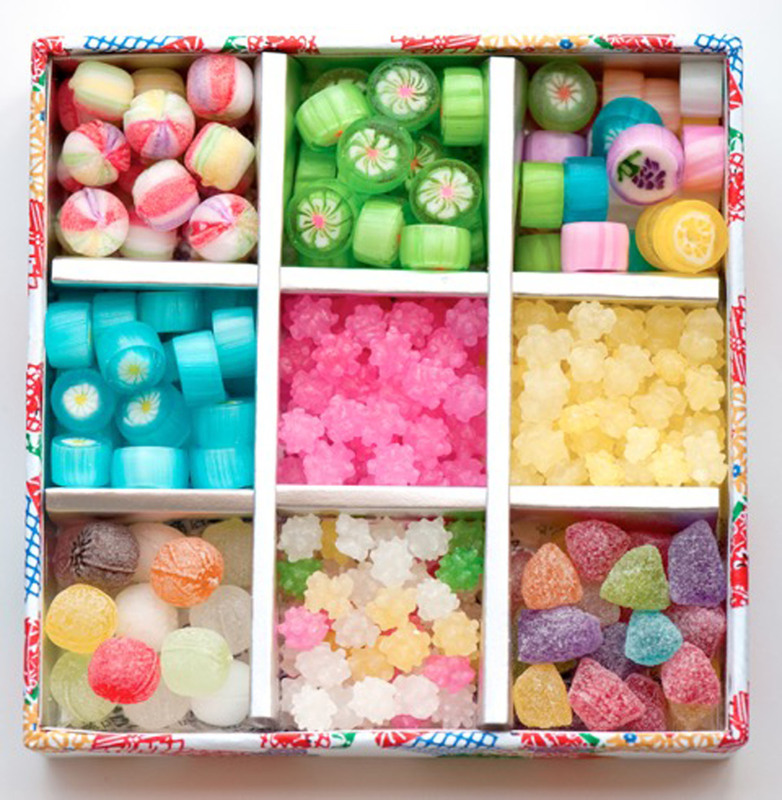 One can’t forget all that sugar either.) They also fit within religious dietary restrictions — Koeido has had their kibidango (small, sweet mochi cakes) halal-certified, for example. 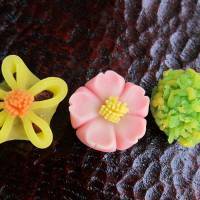 With the number of overseas tourists to Japan increasing annually, some wagashi makers, many of whom have been in business for generations, are trying to attract their business. 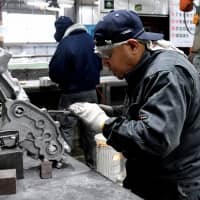 Some have been taking their cue from mass-market snack makers like Nestle, which makes traditional Japanese-flavored KitKats — such as matcha and sake flavors — in Japan only, that have attracted lots of buzz worldwide. The 260-year-old wagashi maker Okashi Tsuchiya, based in Ogaki, Gifu Prefecture, has been one of these, with creations such as Mizu no Iro (The Color of Water), a beautiful assortment of candies made with agar and sugar, and Korando, a chocolate log containing locally sourced dried persimmons, figs, toasted rice and walnuts. 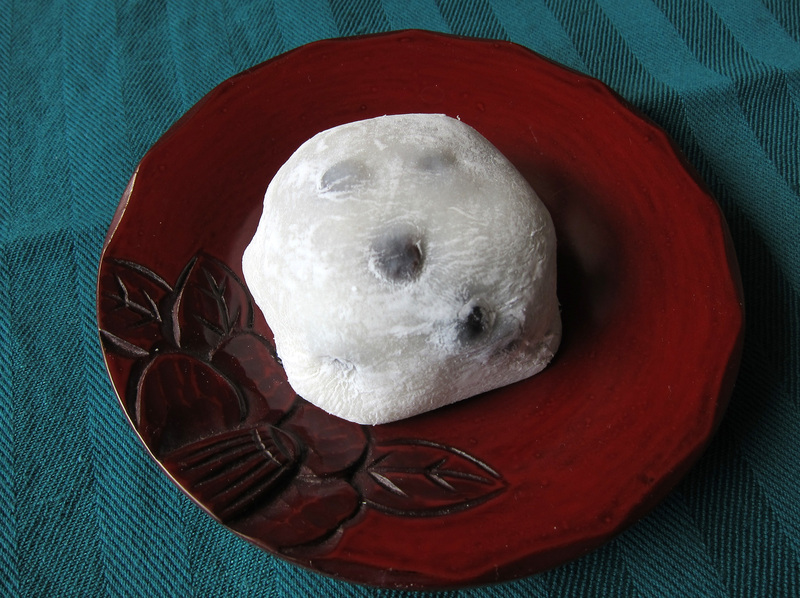 Since many newcomers to wagashi find the sweet bean paste the most daunting aspect of wagashi to get used to, some wagashi makers have been experimenting with jam or whipped cream as fillings instead. 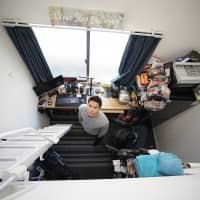 Tokyo’s 124-year-old Aokiya has taken a different approach, by changing the recipe for the bean filling in their traditional Kurodora dorayaki to suit the tastes of both overseas tourists and young Japanese people. 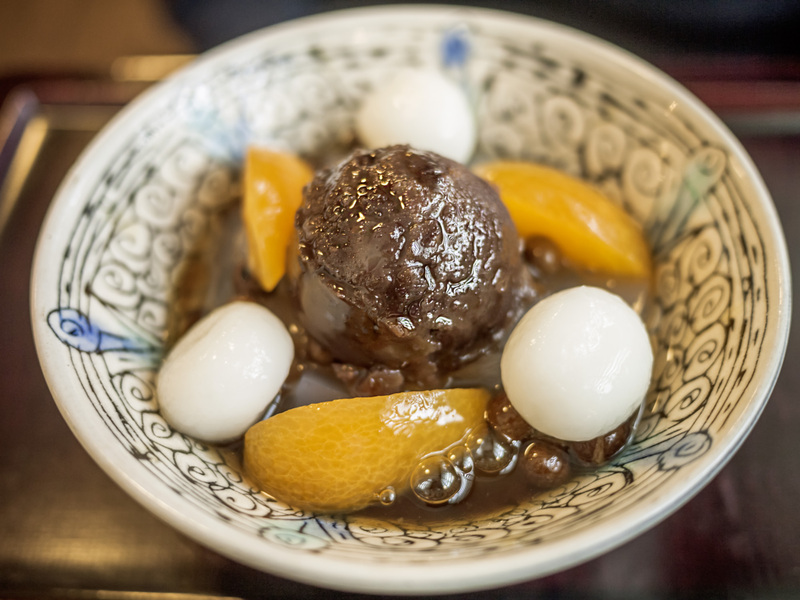 The creative adaptation of foods and ingredients from other cultures is nothing new; yokan, a rectangular log of adzuki bean paste, sugar and kanten, is a Japanese adaptation of a Chinese concoction of sugar, beans and boiled and jellied mutton. Japanese snacks have been slowly increasing their presence outside Japan, too. Minamoto Kitchoan has 40 stores in eight countries and areas, with outlets in major cities such as New York, London, Singapore, Taipei and Hong Kong offering various wagashi, and subscription boxes that have selections of Japanese snacks (usually called dagashi rather than wagashi) are increasing in popularity. 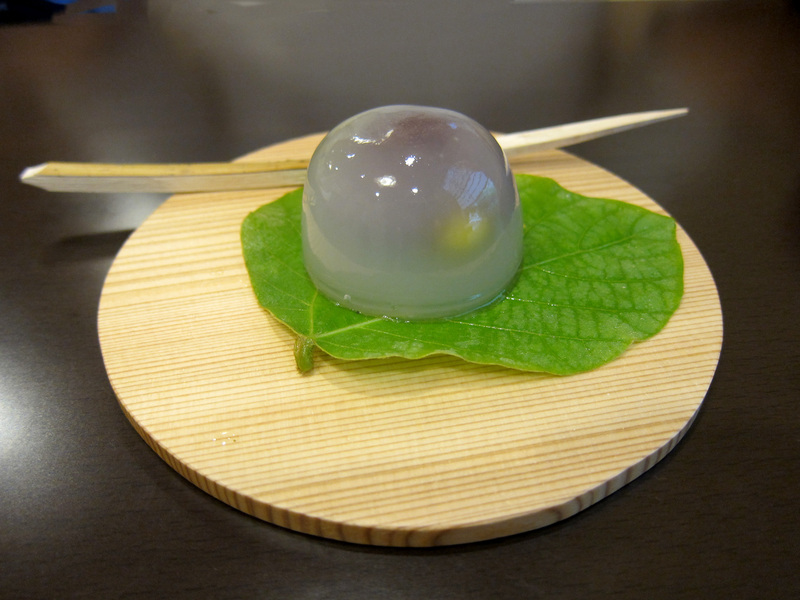 There are local takes on the wagashi tradition too, such as The Little One, a dessert cafe that opened in December on New York’s Lower East Side. 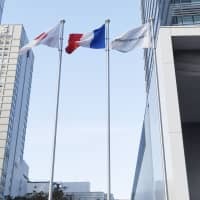 As for Toraya, their Paris store, which actually opened its doors before the New York one and will mark its 38th year of operation in 2018, has grown in popularity recently and is a fixture in the French capital. Perhaps it’s time for them to tackle the U.S. market again.